As they said last week, twitter has been updating their approach to make Twitter a safer place. They have said that his won’t be a quick or easy fix, but we’re committed to getting it right. 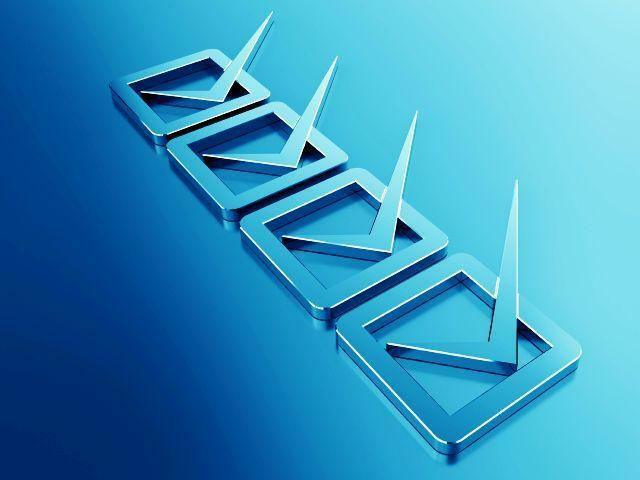 Far too often than one cares to count in the past, they’ve said that they will do better and promised transparency but have almost always consistently and woefully fallen short in their efforts. Starting today, you can expect regular, real-time updates about their progress. Sometimes, this may be insight into the difficult questions that they are supposedly asking themselves, even before they have the answers. This is the first time that they have shared this level of visibility into their work on safety, and we hope it helps build trust along the way. 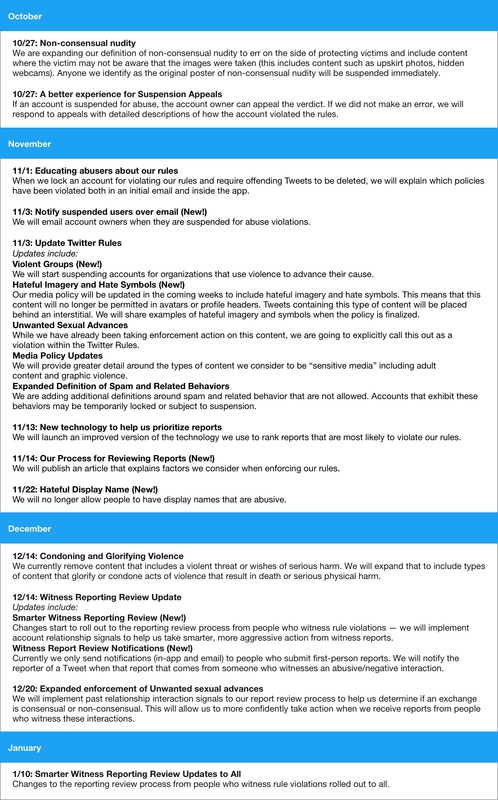 Here is a calendar of the upcoming changes that they plan to make to the Twitter Rules, how they will communicate with people who violate them, and how their enforcement processes work. If you’re interested in following along, they’ll continue sharing these updates — big and small — from @TwitterSafety.